Both devices comes with Fingerprint Scanner on Home Button and Metal body. 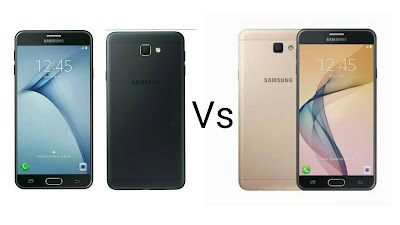 On Display both have 5.5-inch Full HD Display and comes with 3GB of RAM 13MP rear and 8MP cameras and are powered by a Octa Core Processor only difference is storage Galaxy On NXT comes with 32GB of storage compared to 16GB on J7 Prime . Both phones are packed by a 3300mAh Battery . OS- Android 6.0.1 (Marshmallow) Android 6.0.1 Marshmallow.